Wiarton, Ontario is a sleepy little town on the Bruce Peninsula with a population of 2,300. 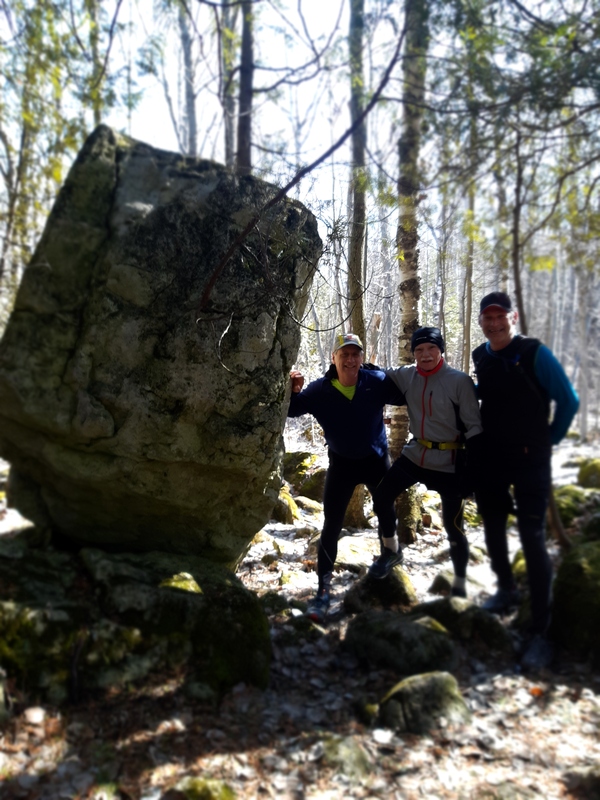 Particularly in the summer it becomes busier with cottagers stopping for supplies and tourists visiting the local attractions or to hike portions of the Bruce Trail. During winter things slow down considerably, except for one day. That day is Feb.2, Groundhog Day. Home to Canada’s most famous groundhog named Wiarton Willie, Wiarton shines in the spotlight for this brief time in winter as media from all over the world converge on this little town to witness the groundhogs prediction if it will be an early spring or not. If Willie sees his shadow it will be 6 more weeks of winter, if he does not see his shadow it will be an early spring. It turns out Wiarton Willie has predicted an early spring in my area of Canada. It is pretty much folklore, there has never been a proven track record that these predictions are accurate, but the festivities are always a nice reprieve from the long Canadian winter. Are we able to learn about God through nature? Through nature we can have a better understanding about God. Are there parts of nature where we can actually accurately predict the weather? Job 12:7-10 says, “But now ask the beasts, and let them teach you; And the birds of heavens, and let them tell you. Or speak to the earth, and let it teach you; And let the fish of the sea declare to you. Who among all these does not know. That the hand of the LORD has done this, In Whose hand is the life of every living thing. And the breath of all mankind? From an article taken from the Ottawa Sun, it mentions several animals in nature where we can predict both short term and long term weather. Not only that, predictions of natural disasters such as earthquakes and hurricanes. And in a National Geographic Article titled “Did Animal Sense Tsunami Was Coming“? it reflects on the December 26, 2014 9.2 magnitude earthquake off the coast of Northern Sumatra that triggered a massive 20-30 metre tsunami that killed 275,000 people in a dozen countries. Interesting enough relatively few animals were reported dead speculating that the animals knew about the impending disaster and fled to higher ground before the giant waves hit. Weather can also be predicted through the observation of the skies. One of the most famous sayings is “Red sky at night, Sailor’s delight. Red sky at morning, sailor’s warning”. Variations of this saying goes back over a couple of thousand years. Even Jesus referred to this when in the book of Matthew when he was addressing the religious leaders of his day. Through our satellite technology we are able to predict the weather in ways thought impossible 100 years ago. But let us not forget the amazing ways we can predict the weather given by God through nature.